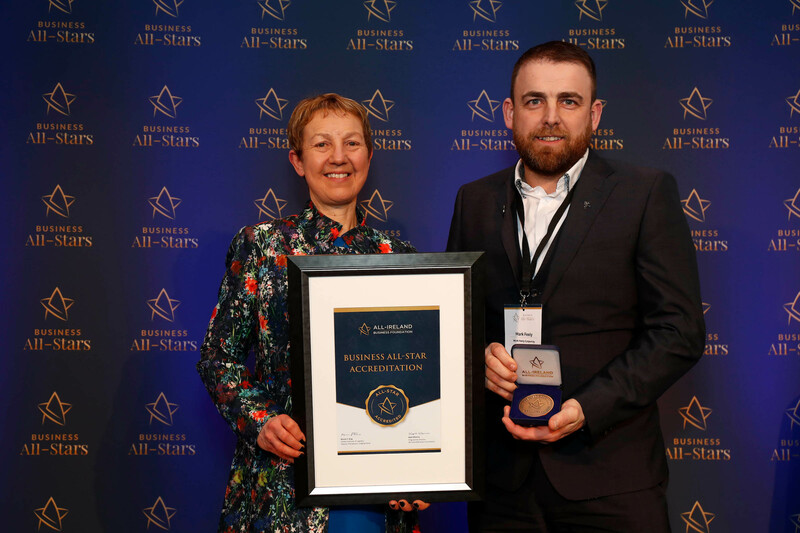 Daingean Carpenters Carpentry Works were awarded the coveted All-Ireland Business All-Star accreditation at Croke Park this week. 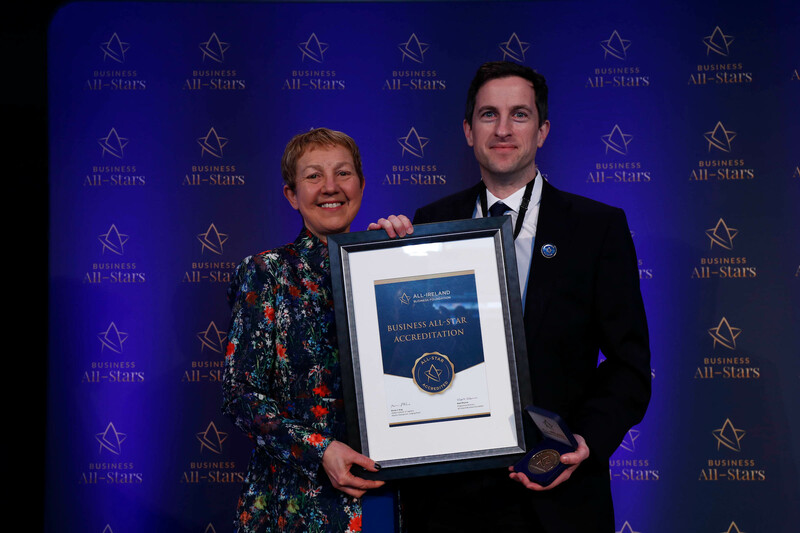 Mark Feely of Carpentry Works receiving All-Ireland Business All-Star accreditation at Croke Park from Dr Briga Hynes of the Kemmy Business School at the University of Limerick. Pic: Conor McCabe. Nick McGowan of Lion.ie receiving an All-Ireland Business Foundation Thought Leader award at Croke Park from Dr Briga Hynes of the Kemmy Business School at the University of Limerick. Pic Conor McCabe. Keith Barry and a host of top speakers will turn Scaling For Success from illusion to reality at the Foundation’s fifth All-Ireland Business Summit at Croke Park on Thursday May 2.